Tunnels of gooey chocolate sauce built into a velvety-smooth cheesecake makes for a very sensual experience. Cheesecakes are such a perfect dessert for low-carbers. It is where we can shine without a question, as fat is not the enemy for us. Graham Cracker-like Crust: In medium bowl, combine Gluten-Free Bake Mix 2 (OR alternative), ground almonds, butter and sweetener. Press into 9-inch (23 cm) springform pan. Bake in 350°F (180°C) oven 10 minutes, or until turning brown. Filling: In food processor with S-blade, blender or in bowl with electric mixer, process cream cheese and liquid sucralose, OR stevia until smooth. Add whipping cream gradually while processing. In cereal bowl, combine gelatin and water. Microwave 45 seconds. Add gelatin mixture to cream cheese mixture along with 1/2 cup (125 mL) Condensed Milk Chocolate Sauce (see below); process. Pour over prepared crust. Pour remaining sauce over cheesecake in 5 blobs, placed randomly. Use flat, dinner knife to gently swirl between the blobs. Chill. 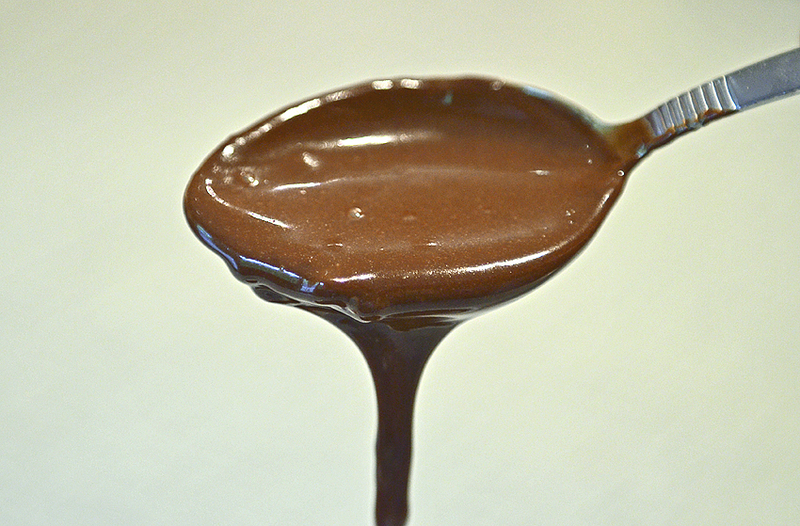 Condensed Milk Chocolate Sauce: Prepare as directed in recipe below. 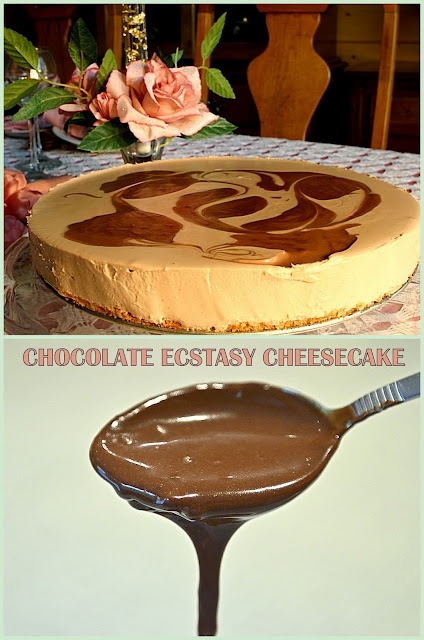 Variation: Frozen Chocolate Ecstasy Cheesecake: Freeze cheesecake and let thaw at room temperature at least 20 minutes, or until easy to slice, before serving. 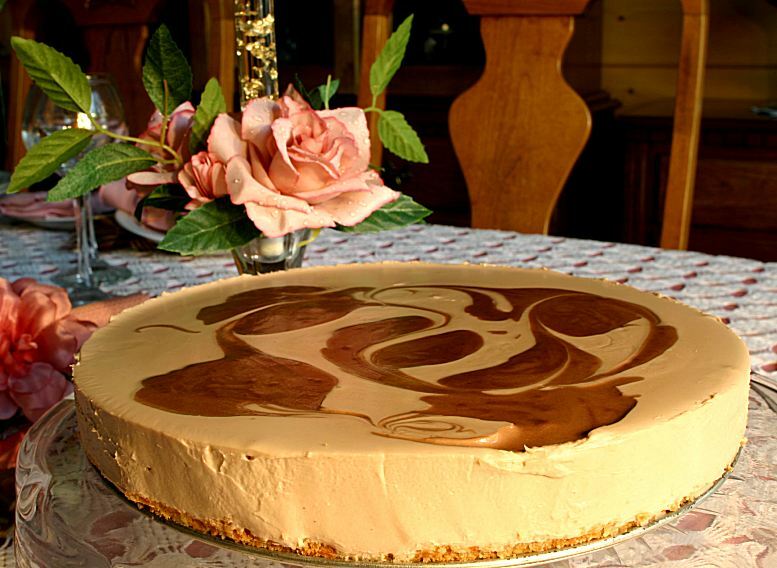 Helpful Hint: For a really creamy taste experience, leave cheesecake at room temperature for 30 minutes or so. Decadent, rich and thick chocolate sauce as a topping for desserts. In blender, combine whipping cream, butter, Da Vinci® Sugar Free French Vanilla, OR Vanilla Syrup, liquid sucralose, OR stevia, vanilla whey protein, skim, OR whole milk powder (OR other alternatives) and xanthan gum. Blend until smooth. Add melted chocolate; blend. Serve immediately or refrigerate and use later. 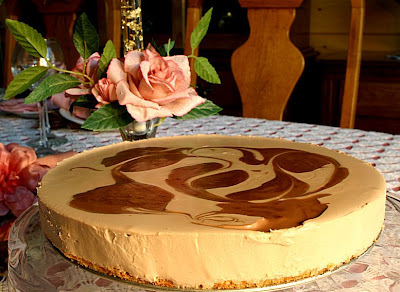 Caramel Sauce/Frosting: Substitute Da Vinci® Sugar Free Caramel Syrup in main recipe and use cocoa butter instead of chocolate. Follow instructions for variation above for frosting as opposed to the sauce in the main recipe. Any-Flavor Sauce: Cocoa butter and Da Vinci® Sugar Free Syrup flavor of choice or chocolate and Da Vinci® Sugar Free Syrup flavor of choice. Da Vinci® Alternative: Use water, appropriate flavored extract and extra sweetener (equal to 4 tsp sugar). Helpful Hints: This sauce is thick and becomes a little thicker upon chilling.